As a recruiting firm, we talk to both partners and associates at firms in every major legal marketplace on a daily basis. These conversations often concern why a lawyer is dissatisfied with his/her current firm or what kind of lawyer a firm seeks to hire. We have discovered that the salary increases that have taken place over the past several years have actually had the effect of straining professional relationships between partners and associates and also between partners. In the end, the more that money becomes the dominating factor defining the relationships among attorneys, the more the profession becomes like a business and less like, well, a profession. Since late 2000, the results of the salary wars that occurred in the legal marketplace should have become quite noticeable. One of our legal recruiters, who has been recruiting for more than 20 years, recently told the story of how just 15 years ago, firms in Los Angeles would almost never fire an associate. This same recruiter actually received a phone call from a major Los Angeles law firm telling him it would pay him $20,000 if he could recruit away one of its attorneys and place that attorney in another firm (where he would also earn a fee). While this may sound drastic, the thought of this firm's forcing the same attorney out, or firing the attorney, was not something the firm wanted to convey. Lawyers at this firm simply did not do that sort of thing. Today, the legal landscape has changed significantly. Law firms have no problem firing associates or partners. In fact, the relationship between associates and partners, as well as among partners, has become more defined by economic concerns, it seems, than things like collegiality or functioning as a group that supports one another in all respects. This was not always the case. The explosive growth of firms like the now-defunct Brobeck Phleger & Harrison in 1999 and 2000, for example, was largely fueled by the acquisition of mercenary partners who all grouped together because Brobeck could pay them the most money. Money was the defining characteristic of these relationships. When the firm could no longer afford to pay explosive salaries to partners, one of San Francisco's oldest and most prestigious law firms simply collapsed. Similarly, while most attorneys are in law school, they are most concerned about working at the highest-paying firms. The thought of going to a firm where the salaries might be low, but the atmosphere and collegiality better, is something that many law students might simply laugh at. The best attorneys, in their minds, are the attorneys who make the most money. The issue with all of this is that these same associates are often placing themselves in a dynamic where they become fungible and can lose their jobs at a moment's notice. This article will explore the division between partners and associates from three angles. First, we will discuss the complaints we have heard from and about today's young associates. Second, we will discuss the effect this divide has had on the legal marketplace. Third, we will suggest how to handle dynamics at the interview stage and how to position yourself as a lawyer who can contribute to a more collegial environment. In 1999, the associate salary wars began to affect most major legal markets. Although these raises came as good news to many associates, the long-term effect has been mixed. Certainly, we have not heard any lawyer tell us that having more money is bad. However, in some firms, there has been a backlash against those who enjoyed the salary increases, making life more difficult for some young associates. The dynamics are fairly simple. Many firms raised associate salaries to compete with other firms. Not all firms who raised their compensation did so willingly, and we have spoken with some partners at law firms who felt railroaded into the decision to raise those salaries. It's not difficult to imagine why: An increase in associate salaries may mean less compensation to the firm's partners. Although every firm that raised associate salaries handled the expense in different ways, the more difficulty a firm had internally in making the adjustments, the more likely the salary issue created or magnified a division between associates and the owners of the firm. Associates Are Getting Richer. What's the Problem? Ultimately, it's not important to decide the merits of who is right or wrong. What is important is to understand these conflicts and to minimize the discord. The complaint we hear most often from partners is that junior associates have a sense of entitlement to both top compensation and an appropriate quality of life offered by a reduced workload. This may be because many current partners began as associates working longer hours for less money. At some firms, the perception is that associates simply do not work the kinds of hours, on average, that associates worked 10 or 15 years ago. This may or may not be true, depending on the firm or the individual. What is true is that the attention to quality of life among associates at large firms is relatively new. The fact that many associates started using the term quality of life at the same time the Greedy Associates boards popped up is a difficult coincidence for the management at some firms. We certainly suggest that attorneys remain aware of the differences among firms' lifestyles, compensation packages, or prestige levels, but an associate who frequently compares his/her firm to other firms may create the perception of being ungrateful for the opportunities "at home." To demand that one's firm pay a top salary while pushing quality-of-life issues, such as reasonable hours, may appear inconsistent. Many associates do not understand why the partners at their firms are so unreceptive to talking about compensation and quality of life, when the associates are often the top billers and generate significant income for the firm. "If I work big-firm hours, I should get paid a big-firm salary" is one of the complaints we heard from a lawyer working at a mid-sized Washington, DC, firm. Younger associates want the management of their firms to realize that the marketplace isn't the same as it was when the partners graduated from law school. Indeed, the demographic of young lawyers has changed considerably, and the shifts in the economy in the past decade have been unprecedented. There is no right or wrong side to these arguments, but this division eventually must be resolved because it causes unnecessary strain on workplace relationships. We recommend that attorneys try to put themselves in each other's shoes. Remember that partners are owners of the firms. They have the responsibility for keeping business with their firms, and increasing associate salaries did seriously affect the bottom line at many firms. On the other hand, partners need to realize that well-qualified associates are necessary to any good practice, and keeping those associates by ensuring that they are well respected, valued, and paid should remain an ongoing concern. The short-term effect of the salary wars was, obviously, to put more money into the pockets of associates. For virtually every firm, the next effect was more subtle: Hourly billable rates for associates were raised in some cases, while some firms decided to take the money out of the partners' share of the pie. 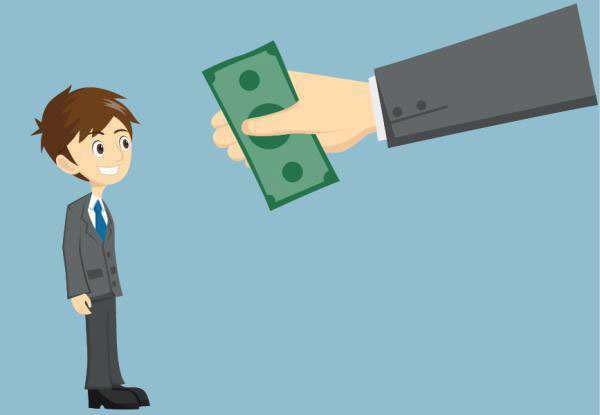 Some firms raised associate salaries without a peep, while others did so only after being directly petitioned by their associates. Associates began ranking firms in their city by how much and how quickly salaries went up. We are certainly not suggesting that all firms reacted the same in regard to salary increases. On the contrary, each firm handled the salary increases (or in some cases, ignored them) in its own way. However, there were trends that emerged as the firms reacted to the salary wars. In the best circumstances, firms were happy to raise salaries to control their attrition rates and to reward their associates. Some firms, however, took a harder line and required more from their associates in exchange for more money, such as increasing billable hour requirements. Several problems emerged. One was compression of salaries. So while a first-year got a raise and started making perhaps $125,000, often an eighth-year associate in the same department got only a small raise or no raise at all. Obviously, there is great potential for resentment in such a case. As the economy regains its footing, what can associates and partners take away from the lessons of the past three years? In the same way that the economic slowdown of the early '90s affected the hiring (and firing!) practices of firms, the latest recession will be a learning tool for both law firms and lawyers alike. For some associates, the lesson learned was that following the money is not necessarily a good long-term strategy. Several of the firms that lead the pack in terms of raising associate salaries and consistently outmatched starting salaries, have had some of the most dramatic lay-offs. For a handful of lawyers, the lure of 5 or 10 thousand more dollars per year was enough to convince them to change firms, only to be looking at a mass layoff 18 months later. Therefore, we believe that the single most important lesson learned is that salary distinctions of several thousand dollars should not be the principal reason for changing jobs. Although there is certainly prestige in being associated with the highest-paying firm in your area, top compensation does not insure long-term stability or even job satisfaction. When a firm's dialogue turns entirely to billable hours and base salary, everyone involved is missing the bigger picture of what associates and partners have to offer to each other. It would surprise you how frequently we hear from lawyers that they want to look for new opportunities and how infrequently we hear that a lawyer wants to find a new job to make more money. Although it's easy to get caught up in money issues, we do not find that making the most money on the block is what defines success or satisfaction for the overwhelming majority of lawyers. On the law firm side, we believe that the salary wars and the recession that followed were lessons for firms that information about the quality of their relationships with associates can quickly be widely spread. The Internet has the capability of disseminating private firm information to virtually every other young lawyer in a matter of seconds. In some cases, internal memos to associates regarding salary increases were immediately posted on the Internet. Law firms and the lawyers within them will continue to make adjustments with respect to the salary raises, the economy, and their ongoing client demands. Going forward, we believe that it's important that each firm review the effects that the salary wars have had on internal relations and seek to address any divide that may have occurred. I'm in the Market for a New Job. What Does That Mean to Me? In some instances, we've been approached by lawyers who are interested in opportunities with new firms because of the tension within their own. In many instances though, lawyers who are unhappy with the divide between associates and partners should look for solutions within their own firms. There have been significant changes in compensation and hiring over the past several years, and it may take many firms some time to work out the issues that arise from the associate salaries, as well as from the depressed economy. In the event that a lawyer has made a decision to move, he/she should keep in mind that how he/she is perceived at the interview has been affected by these difficulties. The single most important way to overcome whatever remaining tension may exist is to be enthusiastic. The "what's in it for me" attitude, which may have worked two years ago, is generally unacceptable in this hiring climate. Interviewing for a position should be a dialogue about what contributions the interviewing lawyer can make to the firm and not simply what he/she can take out. On the law firm side, it's important to note that many lawyers' agendas have changed. Stability and profitability is an increasing concern for lawyers, and an interviewing attorney should provide enough information for an interviewing lawyer to understand the firm's environment. Firms that believe they may have gotten a bad reputation throughout the salary wars should work to correct this. Many associates have changed their focuses from associate raises to lay-offs, bonuses, and workload, given the recent downturn in the economy. However, it is important to remember that the associate-salary boom of the late 1990s may still have an effect on inter-firm relationships and how partners and associates view each other as a whole. Where those tensions exist, lawyers should be aware of how they view each other and themselves in the sometimes strained relationships within the firm and the firm's economy. If there is any good to be found in the recent recession, it may be that it provided a little perspective on how we view each other and how lawyers define security and success within a firm. Click Here to View the 2016 Updated Salaries of Top Law Firms Giving Raises. Click Here to View the 2015 Salaries of the Top Law Firms.